Owner of Alluem Yoga, Gina is an energetic, certified yoga instructor. Her practice embodies a combination of power, vinyasa flow and yin yoga. She has tapped into her 15 years of dance training, fitness instruction and physically active lifestyle to create her own unique yoga style. This mother of three children has incorporated yoga and meditation into her daily living and finds joy in educating others about the mental, therapeutic, physical and spiritual benefits of the practice. You will love the energy and spirit that Gina brings to her class. Not just because of who she is but because of who she wants the rest of us to be, our true essential selves. She believes that only by giving we gain what truly matters. Gina received her 200hr YTT at The Yoga and Healing Center in Scotch Plains and is certified through the National Yoga Alliance. She gained an additional accredited 40 hours with Seane Corn, an internationally celebrated yoga teacher. Gina continues to study with Seane and assists her at events like Yoga Journal NYC or Wanderlust, VT. She has traveled to Haiti and India with Off The Mat Into The World and is an active community member. Gina acquired her Yin YTT from the brilliant Corina Bender, director of Wake Up Yoga in Philly, PA. and her certification to teach people who have experienced brain injury from the Love Your Brin Foundation. Gina is forever grateful to her teachers for sharing their voice and knowledge of yoga and for being part of creating a life she loves. Gina has participated in workshops and classes with renowned yoga instructors such as Seane Corn, Suzanne Sterling, Kerri Kelly, Nikki Myers, Elena Brower, Baron Baptiste, Shiva Rea, Dana Flynn and other local teachers who she admires. In 2010 Gina participated in a week long intensive with Off the Mat Into the World. OTM uses the power of yoga to inspire conscious, sustainable activism and to ignite grass roots social change. She is inspired and continues to learn from Seane Corn, the creator of OTM along with Suzanne Sterling and Hala Khouri. Gina is the founder and owner of Alluem Yoga and a Cranford Resident. She is most proud of the community Alluem Yoga has built. "It humbles me every day to see old and new faces walk through the door to roll out their mats. People show up, so I do too. We're in this crazy life together. I am grateful that we have this practice to manage it all." Gina’s intention is to create a fun, supportive and nurturing environment for all yoga students. Not for one second does she take this practice for granted. She believes it is a luxury and a privilege to 'get to' do this to better ourselves in hopes to live a more compassionate, empathetic life. Studio Manager of Alluem Yoga, discovered yoga in 2004. Karen watched her true self shine through every time she practiced. After experiencing the many benefits of yoga first hand, she knew bringing these benefits to children could help shape their awareness, self-esteem and confidence now and in their future. The most beautiful thing is watching a child come into a better understanding of self - mind, body and heart. Karen completed her Children's Yoga teacher training with Little Flower Yoga under the direction of Jennifer Cohen Harper in 2009 and the Every Kid's Yoga: Yoga for Children with Special Needs training in 2015. She now runs the Alluem Kid's Yoga Program along with making regular local school visits ranging from preschool to high school. She has even traveled to Haiti with Go Give Yoga to teach Haitian educators how to use yoga in the classroom. Karen continues to further her knowledge of this practice for children by attending many developmental workshops with Little Flower Yoga, Embody Love Movement and YogaKids as well as workshops for development of the self, including the week long intensive with Off the Mat Into the World. In addition, she is a member of the Yoga Service Council and was a presenter at the 2014 first ever National Kids Yoga Conference in Washington, DC. Cindy vividly remembers years ago writing in her journal that she wanted to become physically fit and develop a closer connection to the Divine. She knew she had come home after taking her first yoga class in 1998. Throughout years of deep study – over 1000 hours of trainings, workshops, and retreats and a daily yoga/meditation practice – Cindy finds herself drawn to the following aspects of the practice: 1) the spiritual, healing and transformational; 2) the fun, creative, and playful; and 3) the optimization of body alignment to feel good! Her teaching is reflective of these aspects, as Cindy teaches primarily to give back and share her knowledge and love of the practice. In addition to her love of yoga, Cindy is a pediatric physical therapist and wife and mother to her wonderful husband, three amazing sons and two adorable golden doodles. Melissa is a dynamic teacher with a style born from a background in dance, a career using movement as a healing agent and a deep reverence for this practice. She became certified in 2011 with Ellen Kaplow at Satsang Yoga and has continued her training with Shannon Elliot at Onyx Yoga. Melissa offers her students unique and meaningful sequences while teaching safety and sustainability within an energetic flow. By day, Melissa is a passionate dance/movement therapist working fiercely to advocate within the realms of domestic violence and behavioral and emotional health. Her love for traditional yoga philosophies and supreme music both feed and energize the practice. Ultimately, she is grateful to the connections yoga has brought her including and especially this community at Alluem and is committed to sharing this with her students. Mindy first discovered yoga in 2004. After years of dancing, sports, running, and a multitude of gym classes, she stepped into an Ashtanga-based yoga class and discovered her true passion. She has practiced and studied in many styles of yoga: Bikram, Ashtanga, Anusara, Vinyasa, and Soul Sweat. She acquired her 200-hour yoga certification through Wendy Gross-Pinto’s Soul Sweat Asana training. Her training gave her more than just a knowledge of postures and breathing techniques. It gave her a better understanding of the mind, body, and spirit connection that is formed on the mat and brought into her daily life. She compliments her physically meditative and spiritual flow with her previous experience as a dancer and choreographer on Virginia Tech’s nationally ranked dance team. She is grateful to all of her teachers for their inspirational and powerful instruction, Wendy Gross Pinto, Kim Kiamie, Ellen Kaplow, and Gina Pachkowski. As a certified yoga instructor and a member of Yoga Alliance, Mindy looks to motivate and lead others to discover their true potential on the yoga mat as well as in their lives. Her husband, and two amazing children, motivate and teach her every day to be present and more connected to life’s true purpose. Mark was first drawn to the physical practice of yoga as a complement to his traditional workouts and participation in other sports. After embracing the deeper aspects of a daily practice, he saw great changes and recognized how yoga can permeate and enhance all areas of life: physically, mentally and spiritually. Eager to share this gift with others, Mark completed his 200 hour teacher training at the American Yoga Academy with Claire Diab and is committed to continually deepening his knowledge through workshops, self-study and a deep daily practice. Mark incorporates yoga into his work as a personal trainer, group fitness instructor and nutrition coach. With his knowledge of functional anatomy, Mark creates safe, effective classes grounded on proper alignment that appropriately challenges each of his students. He is happy to see the many benefits yoga has had for his clients and his students. Kim is an enthusiastic yoga practitioner. She has studied under many talented yoga teachers. Kim received her 200-hour teacher training in 2003 under the tutelage of Wendy Gross Pinto, her first beloved yoga teacher. Kim loves teaching a strong vinyasa flow class and her strength lies in her creative sequencing. In 2009, Kim became a certified Relax and Renew Trainer in Restorative Yoga through Judith Lasater. She enjoys leading restorative classes as well as workshops with her husband, Ross Marshall. She continues her professional development by attending Yoga Journal Conferences in NY & Miami. Some of her favorite instructors include Jason Crandall, Kathryn Budig and Kino MacGregor. At present, Kim teaches a variety of classes including vinyasa, restorative and basic yoga. Kim is so grateful to all her teachers including Wendy Gross Pinto, Clarissa Alliano, Mary Roth, Cindy Fechter and Gina Pachkowski. They have all blessed her journey. Above all, Kim is most grateful for her family - her husband, Ross Marshall and her amazing son Michael William Marshall. They bring love and light to her life every day. Tricia began her practice of yoga in 2002. As a multi-sport athlete, yoga originally began for her as a great way to create a stronger and more flexible body, but has since developed into a lifestyle. She has received her certification from Yoga Works NYC in a style that combines aspects of Ashtanga, Iyengar, and Vinyasa flow in 2009. She also received her Prenatal Yoga certification at Yoga Works NYC and teen and kids certification with Little Flower Yoga. Surfing and yoga are Tricia's true passions and compliment each other perfectly; to her, surfing is yoga on water. Her ideal day would include and early morning yoga practice followed by some sick morning and evening surf sessions, topped off with some ice cream from the Beach Plum at Bradley Beach, NJ. Tricia has also been a tenured faculty member at Westfield High School for the past 10 years where she teaches US History and AP Government and Politics (still trying to figure out a way to have the practice of Yoga be an approved elective in high schools!). She spends much of her time with her husband, Adam, and her son, Dante. Eileen's yoga practice which began five years ago transformed her life both emotionally & spiritually. Inspired by the teachings of Mary Roth, Eileen decided to continue her journey and become a yoga teacher. Subsequently, she became certified in Soul Sweat Asana Yoga under the direction of Wendy Gross-Pinto. Upon receiving her certification in 2008, Eileen had an opportunity to teach Chair Yoga to Senior Citizens at the Westfield Senior Housing Center. She discovered the rewards and benefits of teaching yoga to older people. Eileen has made a commitment to continue to teach older people in a nurturing and healing environment. Eileen’s yoga practice has provided her with mental and spiritual clarity and provided her with a balanced lifestyle as a teacher, wife, and mother of two beautiful girls. What began as a new workout quickly turned into a soul inspired passion for Mary. She began her yoga practice in 2005. Being devoted to group fitness and spin classes, Mary was looking for a new form of exercise to cross train. Excited and inspired to learn more, she completed her 200 hour vinyasa flow teacher training from Hot Yoga Revolution under the instruction of Danielle Mojo and Toni Reino. Her years in the advertising industry were about channeling energy to flow outward…filling our screens with messages. Now she seeks to share an internal energy to help you find your joyful potential through your own breath and body movement. Mary’s goal is help her students find a life of balance and happiness through their yoga practice. Kim (E-RYT 500) has been teaching Yoga since 2002. She began practicing yoga in1999, to manage the challenges of scoliosis. Soon, Yoga began to work its magic in all aspects of her life. Kim’s body became strong, her heart opened, she reconnected with her spiritual, playful & creative Self & she became skillful at navigating the challenges of life. Then, Yoga began to overflow through her; initiating profound changes for her loved ones. With gratitude, Kim felt compelled to share Yoga with others. Kim dedicated her studies to therapeutic yoga; a method of customizing Yoga to an individual’s abilities and goals. Kim is an Experienced Registered Yoga Teacher at the 500 hour level through Yoga Alliance. She is a Certified member of International Yoga Therapists (IAYT). She is a Kripalu yoga teacher and has trained extensively in Iyengar yoga. Kim has numerous other certifications & trainings– some highlights: yoga for traumatic brain injury through the Love Your Brain Foundation, yoga for breast cancer, yoga for scoliosis, yin yoga, restorative yoga, Little Flower Yoga for children, & equine therapy. Kim is a Reiki Master, Licensed Massage Therapist, and an Upledger craniosacral practitioner. These sister modalities of Yoga have enriched Kim more than she could ever have imagined. Kim’s workshops, classes and private sessions weave together traditional Yoga and alternative modalities. A lover of animals, Kim offers Reiki to dogs, cats and horses to ease their ailments and transition. Kim is super grateful for the wisdom, support and inspiration of her teachers and students. Notably, Wendy Gross-Pinto, Theresa Rowland and Lisa Rotell. Cynthia has a dynamic practice that integrates pranayama, body alignment and yogic philosophy to guide you into a moving meditation. Her work with the National Dance Institute, a career as a professional dancer, and the exploration of several yoga styles, including Iyengar, Ashtanga and Hatha, has influenced Cynthia's vinyasa teaching style. Under the inspirational instruction of Laurie Green at Yoga Nine, Cynthia completed a 250-hour certified teacher training with an emphasis on technique, alignment and adjustments. She is grateful to all of her teachers that have helped to shape her practice and life. Like her own yoga practice, she wants you to have greater body awareness, mind focus and a sense of well being. Cynthia engages in an active lifestyle with her husband and their three children and Irish Setter. Together they enjoy hiking in the woods, biking at the beach, skiing the diamonds and quilt making and cooking with family and friends. After 15 years of her youth as a ballet and modern dancer, teacher and choreographer, Nicole discovered yoga in 1998. Instantly drawn to the physical challenge and concentration this yoga class required, Nicole shifted her focus to yoga and began to realize the many benefits beyond the physical aspects. Several years later, Nicole became a Certified Yoga Teacher in the YogaWorks style, which draws from 3 traditional lineages of yoga: Ashtanga, Iyengar and Viniyoga. She has also practiced with and has been inspired by a number of teachers including Elena Brower (Anusara), Alan Finger, Sara Platt and Ann Mosca (ISHTA Yoga), and a multitude of master teachers, with whom she has had the privilege to study over the years. Nicole offers a student-focused group class and private instruction that are appropriate for each student's age, level and wellness goals. She guides her students to greater self-awareness, focus and health through precise instruction and alignment with breath, movement and flow in a class carefully themed to deepen the students' experience of yoga. Each Flow class is paced moderately to vigorously depending upon the level and needs of the students. Prenatal classes draw on both her formal training and recent personal experience with a yoga-filled pregnancy and, now, motherhood! Jean found yoga in 2008 and was quickly hooked; drawn to its philosophy of health and spirituality. In an effort to spread the joy of yoga, Jean completed her 200-hour Baron Baptiste-inspired power Vinyasa teacher training with Hot Yoga Revolution. Jean's goal is to inspire and help her students live their best life through yoga, strengthening their body and mind, and find peace and clarity in their lives. In addition, Jean is an Embody Love Facilitator empowering girls and women to celebrate their inner beauty, commit to kindness and contribute to meaningful change in the world. Tara may be newer to the art of teaching yoga, but she is a veteran in the childbirth world. Currently a Labor & Delivery RN with 17 years of experience and counting, she is also a Certified Childbirth Educator and a Certified Doula. Having an active lifestyle but always a mild fear of yoga, she decided to step inside the sanctuary that is Alluem Yoga on Thanksgiving of 2012 to attend the donation based flow class led by Gina Pachkowski, and walked out completely smitten with the offering that day. There was a feeling of warmth from the energy created in that room that was unlike any other experience she had known. She discovered a deeper connection not only to herself, but to the universe as a whole, and was moved to explore and nurture this space within. She began attending classes regularly, and then decided to deepen her practice, along with what she can offer to her community, by completing a facilitator training for the Embody Love Movement with Dr. Melody Moore. She continued her studies with a 200 Hour Yoga Alliance Certified Teacher Training at Bhakti Barn with Betsy Davis E-RYT and Lauren Magarelli E-RYT. Tara believes that yoga is so much more than the poses and reflects that in her teaching style. She has a tender spot for those that believe that they ‘just can’t do yoga’. Her classes aim to explore and connect with that space inside of us all where there is harmony of mind, body & breath; a sometimes playful and often reflective space for learning how to just be. here. now. Tara is passionate about spending time in nature and with children. When she is not delivering babies or on her mat with her kula, she can be found walking in the park, hanging out with her son Kadin, giggling with the littles in her life, or snuggling with her toddler trapped inside of a dog’s body, Hooch. Michelle fell in love with yoga in 1998 when she discovered Anusara; which in a nutshell is yoga from the inside out. “Instead of trying to control the body and mind from the outside, the poses originate from a deep, creative and devotional feeling inside, from the essence of divine goodness within.” Michelle continued to show up on her mat regularly and for years knowing the time would come to deepen her practice; ultimately sharing and teaching others. In 2012, Michelle found Tara Madore; certified Anusara teacher, chiropractor and owner of Inner Light Yoga Center, with who and where she completed her 200-hour teacher training — but the training never really ends. Since that time, Michelle has learned that we are all beginners every day. She hears regularly and from many all of the reasons someone cannot “do” yoga. Words like “I’m not flexible, I need to sweat, it’s not a workout…” And then the famous, “I can’t touch my toes”, leading her back to her daily words, “Yoga is a breathing practice, that’s all it is. If you can breathe you can do yoga. The physical effects of yoga are all just fringe benefits and stem from the breath. And that glow. Talk about an oxygen facial. "In Michelle’s classes you can expect to breathe into, move with and listen to your body (and some great music!). If something feels good, do it; if it doesn’t feel good, don’t do it. There is always another pose, a modification or refinement. Skipping a pose to hold the one you are in because it feels good is the message and once you get “the message” you are “doing” yoga. When Michelle isn’t on the mat, she is mom to Drew & Jack, who she learns from every single day. In her spare time, Michelle manages her own business, forevergreen soaps, where she has been creating handmade soaps, candles & body products for 18 years - for sale in the Nook! Erin started her fitness career as a NASM-certified personal trainer in 2009. At the urging of a couple of her clients, she took her first yoga class. Erin continued to take classes sporadically in between working with her clients and her own fitness routines. She didn’t begin practicing in earnest until after successfully recovering from a year-long battle with cancer. She started practicing regularly at the suggestion of her oncologist. Erin’s mind and body immediately began to feel the benefits of a consistent yoga practice. She came to the realization that she wanted to share her knowledge by becoming a yoga teacher, inspired greatly by her own teachers. Since becoming a certified yoga teacher Satsang Yoga Studio in 2016, Erin has leveraged her knowledge and love of personal training into her own style of Vinyasa Flow that she refers to as “Athletic Flow”. Athletic Flow combines the movement, breathing, and pose to pose flow of Vinyasa with the stretching and strengthening of fitness training. Her style can modified regardless of the level of the student – from beginners to advanced. The goal of any class Erin teaches is that her students walk out feeling good mind, body and spirit. Erin is married and lives with her husband and three children in Cranford. Kelly is an Experienced Registered Yoga Teacher (E-RYT) with Yoga Alliance. Her background is Ashtanga based, focusing on Vinyasa & Slow Flow with a specialty in Yin. She has trained with Jonny Kest of the Michigan-based Center For Yoga, Kathryn Budig founder of Aim True Yoga, Kino MacGregor from KinoYoga, and taken various workshops and intensives with instructors from all over the United States & Canada including Rodney Yee, Joe Barnett, and Sean Corne. 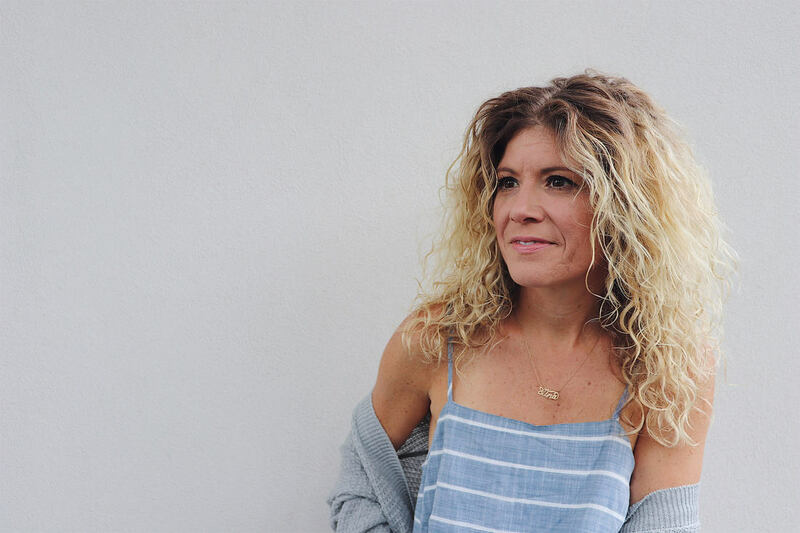 Kelly found her practice in 2008 after searching for a way to clear the mind and connect with the body. As a dancer and multi-sport athlete, used to wear and tear on the body, she was looking for a new way to stay strong, fit and healthy. Her passion was ignited the moment she took her first chaturunga in a vinyasa flow class and began spreading the word to friends, family, and strangers, about this amazing thing called Yoga. She is a strong proponent of education, continually dedicated to learning and growing, as well as, incorporating new techniques and ever evolving yoga styles into her own personal practice. When not teaching you may find her on the mat next to you or out exploring a new class or workshop. She gives much gratitude to her Guruji for the shared knowledge of yoga and strives to help others evolve in their practice any way she can. Claire is a creative, soulful, genuine and authentic human being. As a graduate from York College of Pennsylvania with a Bachelor’s in Fine Art, Claire continues to live out her passion through personal work and teaching private lessons. She has always been comfortable getting lost within the rhythm of her paint brush. Once yoga had been introduced to her in 2008; Claire’s art form expanded into the realms of breath and body. Both have become therapeutically focused on the feeling and what will emote while grooving in the flow. She is 200hr Yoga Alliance certified through Indigo Yoga with Stephanie Parcells and Cindy Romano and looking forward to making yoga an accessible art form to all through teaching. Sonia is a Certified Integrative Life Coach and Yoga Teacher who infuses her classes with mindfulness practices and practical coaching tools that will help students make the mind, body, and spirit connection in order to empower them to live more authentic, inspired lives on and off the mat. Whether through teaching yoga, leading coaching circles or workshops, she finds joy in helping others to “peel back the layers” of life that cover up our true light. Her teaching style is gentle yet powerful. She sees everyone’s amazing potential and will empower you to see it too. You will feel strong on the outside and peaceful on the inside. Sonia began her studies at the Institute for Professional Excellence in Coaching where she studied and received her certification in Energy Leadership Coaching. Shortly after she received her 200 hour RYT from Bright Spirit YTT and has since gone on to receive her Therapeutic Restorative Yoga Certification under Jillian Pransky and most recently her Yin Yoga and Reiki II certifications. She continues to deepen her studies of yoga, spirituality and the mind/body/spirit connection by attending workshops and retreats with teachers like Elena Brower, Pema Chodron and Dr. Joe Dispenza. She is grateful to be able to share all these healing modalities with the yoga community. We’re all in this together. Amy is an educator and instructor of children and teen yoga and mindfulness, with certifications through Little Buddhas Kids Yoga and Little Flower Yoga, as well as her 200-hour certification through the American Yoga Academy. Having been a classroom teacher in both elementary and middle school, and raising three girls, Amy is very familiar with the many stressors children and teens face on a daily basis. With the demands of school, extracurricular activities, obligations to friends and family, and technology use, now more than ever it’s important for children to learn to slow down, pause and take a breath. Amy is extremely passionate about teaching children and teens tools that they can take off their mat and into the world. She has truly found her calling, helping her students to build confidence, strength and flexibility, ease stress and anxiety, and be more joyful and present in their everyday lives. When Christina began practicing in 2008, she could not have imagined how yoga would impact her life. While she adores and craves the physical postures, she has learned some truly life changing lessons through the practice of yoga. Christina remembers being in a yoga class and thinking, "This is such a gift. I want to give this to other people." After completing her 200-hour teacher training at YogaWorks, NYC with Paula Lynch, this dream became a reality. "Let no one ever come to you without leaving better and happier." Christina takes these words from her hero Mother Teresa, to heart, and it is her hope that people leave her class feeling better, happier and more at peace. She would like to thank Gina for giving her the opportunity to teach at Alluem. Yoga attracts amazing people, and Christina is beyond grateful to be part of the Alluem family. For Clarissa, yoga is life. She has been a devoted yogi for many years and since her training in 1998 at the Integral Yoga Institute in Yogaville, VA, she has been able to share her love of this ancient practice with students of all ages in New Jersey, New York and California. Clarissa integrates pranayama, meditation, yoga nidra, chanting and yogic philosophy into her teachings so that her students can benefit fully - body, mind and spirit. She gives love and thanks to the studios and ashrams in which she has been able to hold space, as well as to the many students who have touched her life as she continues to move along this ever transforming path.